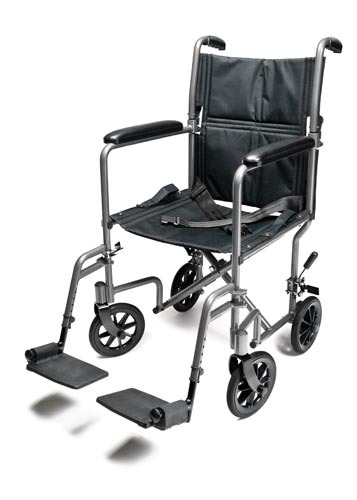 The Everest & Jennings Transport SILVER Chair is designed as an affordable and safe patient transfer device. It's compact size and lighter weight allows you to lift and store the chair with ease. Footrests are industry compatible and offer easy tool-free adjustment. Full length padded arms provide comfort.